Check out the latest articles, news, and events from NTEN Members! Ready or not, the future of business is here. Luckily there’s a new book to help you embrace the key capacities that will drive your nonprofit successfully forward. 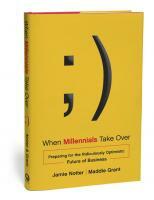 Grab a copy of Maddie Grant and Jamie Notter‘s new book: When Millennials Take Over. Finding that perfect image for your blog post or campaign can be a challenge. Nonprofit MarCommunity shares 12 stock photography sites to help you find the right photo to convey your story. Did you know charitable giving has been around since 2500 BCE? Check out Tech Impact‘s infographic showing a brief history of charitable giving. Idealware has been hard at work researching nonprofit initiatives to collect and report results data and apply the findings to particular areas of interest, with the goal of better understanding how organizations think about results data and what’s being done in the space. In partnership with Markets for Good, they’ve launched a new microsite: Results Data Initiatives: Charting the Known World that maps these new research initiatives. 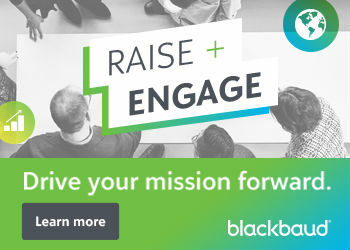 Launching a new project at your organization? Try this simple tip from Norman Reiss to improve project success. If most people believe in the value of volunteering, why do so few people actually do it? Volunteer Match explains the real reason why 75% of Americans don’t volunteer. Tweet with new peeps! Tweet chats are terrific ways of learning and making meaningful connections on Twitter. Bookmark this big list of Twitter Chats for nonprofits from Kivi Leroux Miller at the NonprofitMarketingGuide.com. Lack of tech expertise is often one of the challenges facing nonprofits. To directly address this challenge, Microsoft launched its new Tech Talent for Good program, that extends the expertise of their employees to help organizations with their technology needs. If you’re in a blogging rut, never fear. Prichard Communications shares 6 ways to overcome writer’s block. 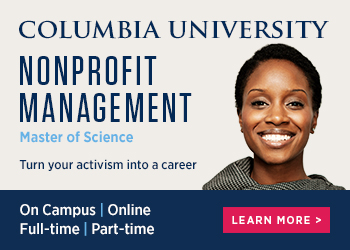 Join AASP‘s Best Practice webinar: Bridging the Counting Methodologies Between Advancement and Finance, on Wed. March 18. The webinar will explore the impact of Advancement activity on an organization’s financial statements, and discuss the challenges and successes in relationship building with Finance staff, tools, techniques for reconciling Advancement to Finance reports, and ways to convey that information to your senior leadership. In an effort to provide valuable insight on the advancement services profession, AASP will be conducting a salary Survey to gather information on salary figures in advancement services. The results of this report will be released to AASP members, with a sneak peek of the data to survey participants. Join AASP to participate and receive the full report results! Emerging Practitioners in Philanthropy (EPIP) will be holding their annual conference in New Orleans, May 12-14. The conference is built on three tracks that include a focus on place-based funding, strategies for collective impact and movement building, and working effectively at the intersection of arts, social justice, and culture. Registration is now open! Want to see yourself on this list? Let us know any news you have to share, and we may feature it in an upcoming Member Roundup!